It is very lightweight yet machine washable and sturdy. The button up shirt has a normal sized collar. Wear shirt with black, copper or cream pants. The polyester fabric doesn't stretch, but the shirt is a generous size and cut. The shirt measures 66" around at armpit level for a loose 62" fit. 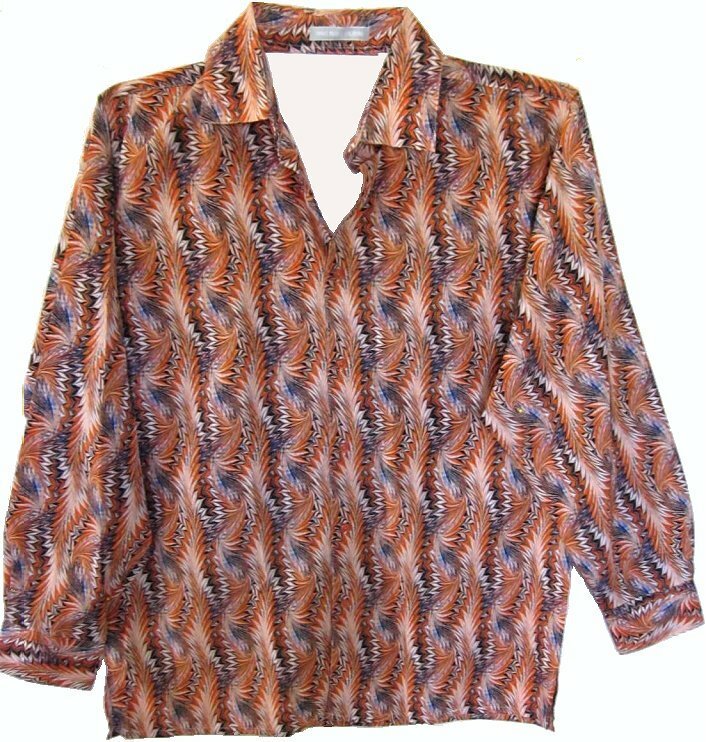 Button up shirt will pair with copper, black or cream pants. The length is 37". Waist is 64".